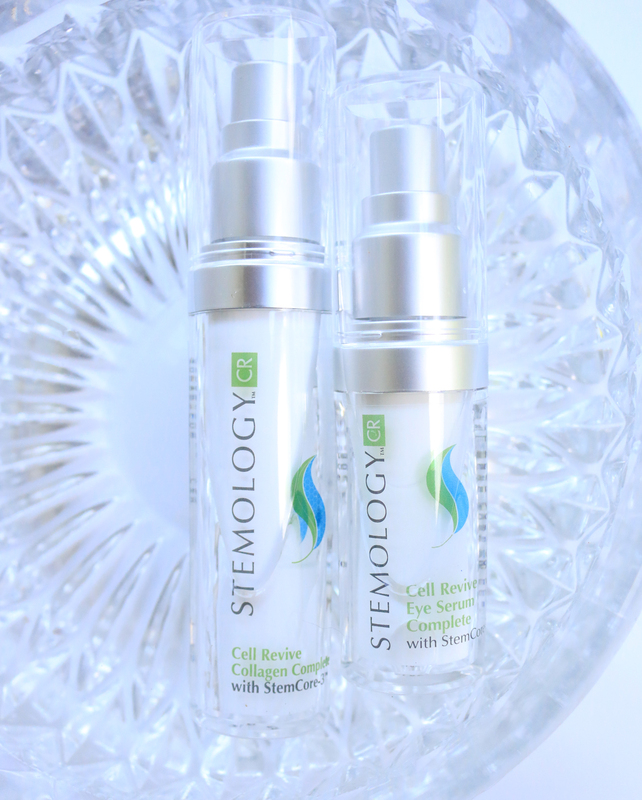 The ingredients of the capsule products of Stemology are based upon 20 years of stem cell research by founder Dr. Hal Simeroth. 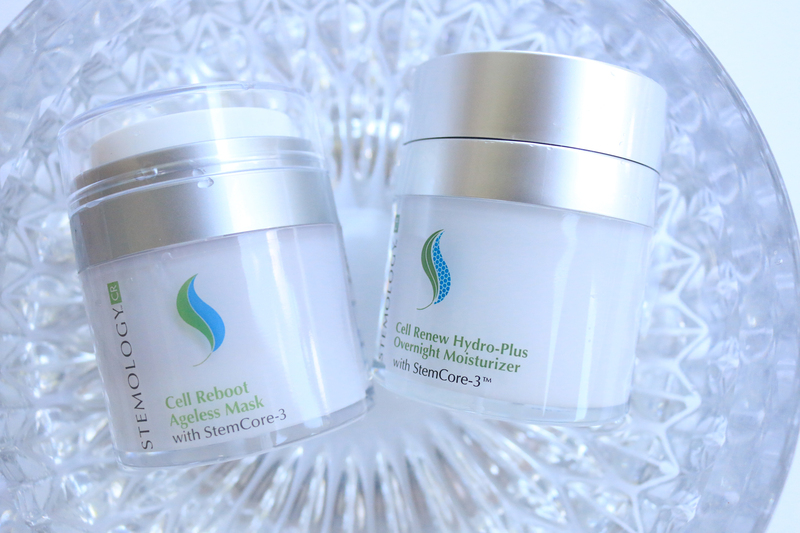 This revolutionary brand has developed the StemCore-3™ formula, a proprietary stem cell based peptide complex. Regenerative medicine, also known as Stem cell therapy, has a proven itself beneficial in the treatment of diseases such as cancers, heart disease, MS, macular degeneration, and many other diseases. 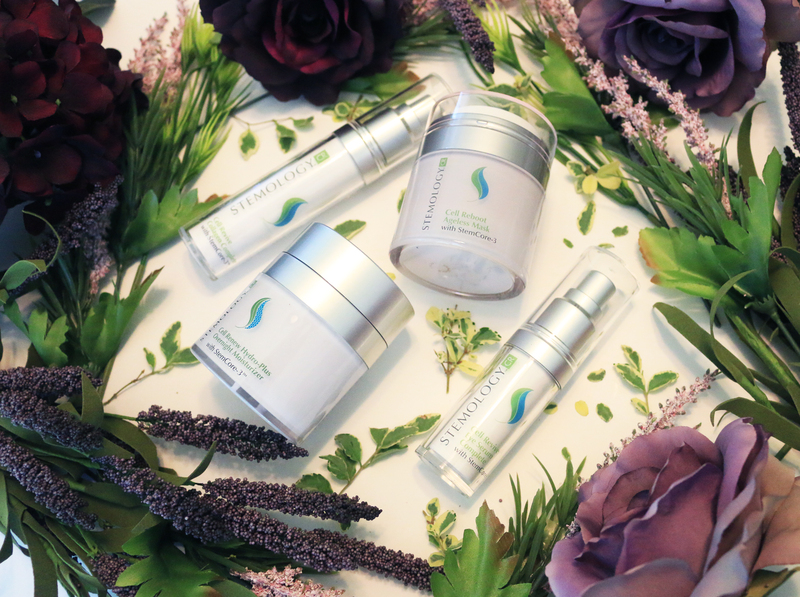 As explained on the Stemology Skincare website, “this is because Stem cells rejuvenate – they trigger the production of new healthy cells in the human body based upon the particular organ cells the stem cell is ‘encoded’ to stimulate. Stem cells are our ‘natural’ defense against deterioration of the body. As adult humans, we produce stem cells which have much to do with the rejuvenation of the cells of our organs. By the time we reach 50 years in age, our bodies have only 2% of the stem cells with which we were born. As we age, our bodies reserve the use of remaining stem cells for trauma repairs. Since stem cells repair deterioration, the lack of available stem cells contributes to the aging of our organs … including the skin, the largest organ of the human body.” Through its scientific and clinical development, Stemology has created a unique derivative of stem cell tissue that can be absorbed into the skin. 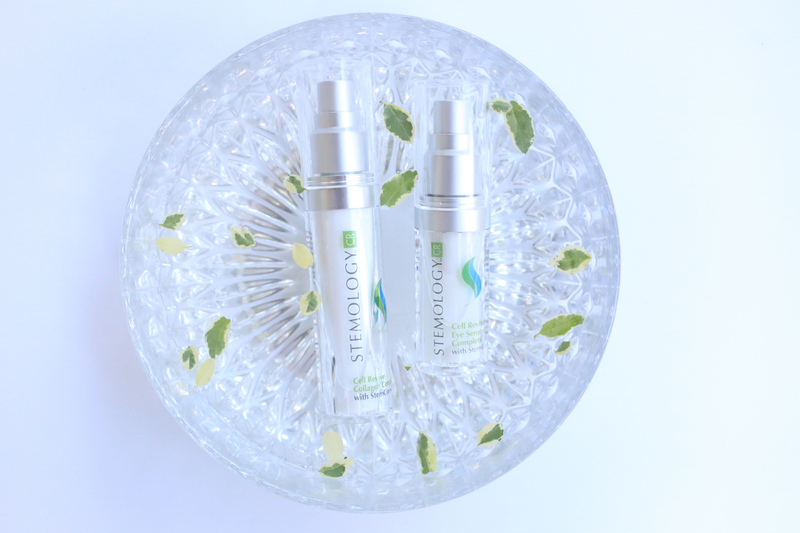 Stemology is truly is the future of skincare. The brand is dedicated to the natural origin, purity and safety of the ingredients in its products. It uses all-natural and often certified organic products in its formulas. You will not find chemical ingredients derived from petroleum, ethoxylates, formaldehyde donors, sulfates, parabens, GMO’s or artificial colors in Stemology prodcuts. Even the fragrances come from natural essential oils or distillates in the products! The only animal-related by-products used as ingredients in the formulas such as milk, honey, lanolin, etc. In addition, Stemology does not do any animal testing with its products. When I first heard that the brand used Stem cells, my immediate thought was where the stem cells came from. 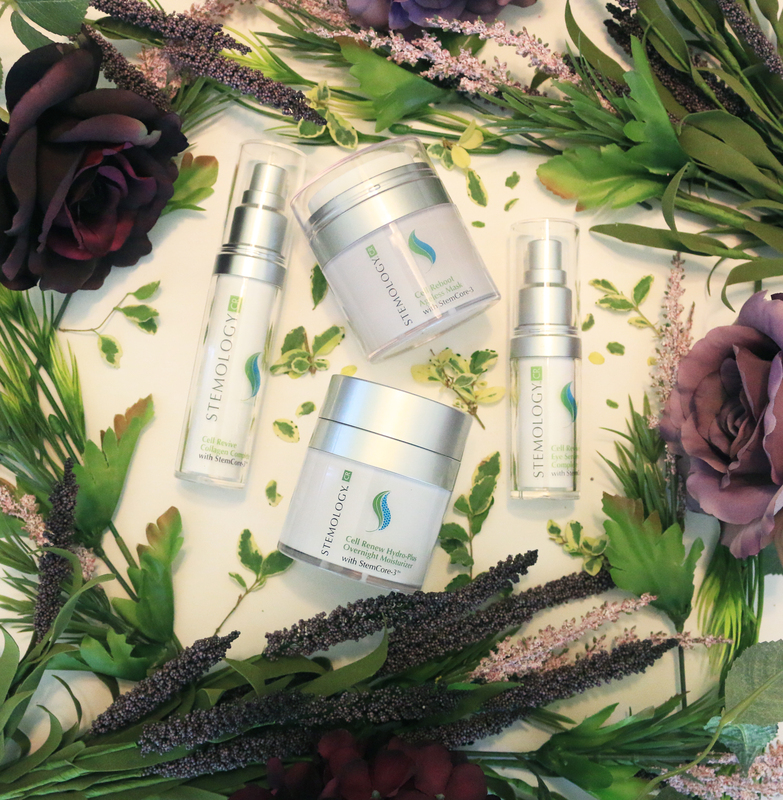 As I mentioned previously, Stemology Skincare’s website breaks down pages of information and technology so that the average person can understand the science behind it. It is very important to be aware of what products you are putting on your face, and more importantly if they are ethical. When I first hear “Stem cell” I automatically think of embryonic stem cells. 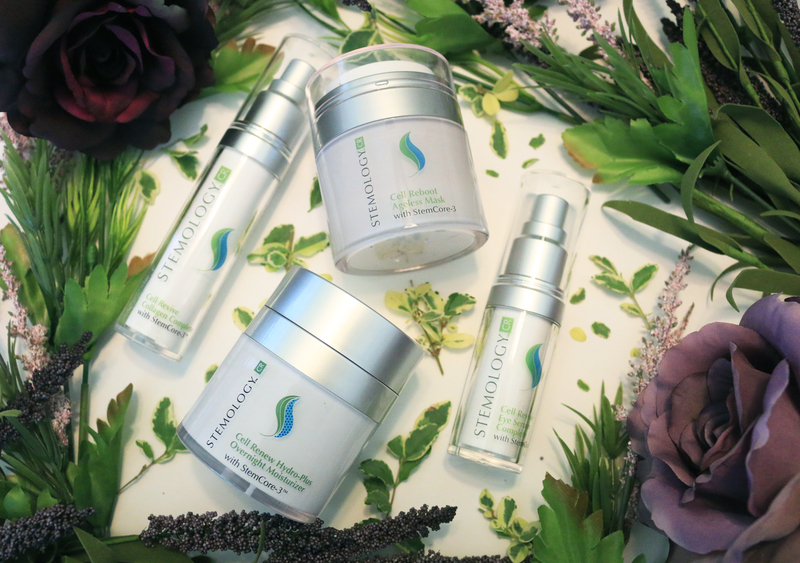 The Stemology Skincare brand DOES NOT use any embryonic stem cells in any of its research work, nor in the production of its stem cell extracts. Absolutely none of the Stemology Skincare products are made from human fetal tissue; nor will any of its research and development be done with any human fetal tissue. Stemology is a groundbreaking, ethical and transparent brand because it constantly strives to maintain its commitment to use only adult human stem cell technology in its research and in the development of products. Read more about the ethical practices of the brand here. Cell Revive Collagen Complete – This is an everyday serum that pairs perfectly under makeup. The bottle contains a generous amount and it should be used in small amounts since the serum is so concentrated. That means you’re getting the biggest bang out of your buck! This product interests me the most because of its collagen technology and ingredients. Neodermyl steps up collagen production and will firm your face, plumping your skin’s appearance. I can see this product being part of Patrick Bateman’s daily skincare routine, and you know he has the most innovative products in his medicine cabinet. Cell Reboot Ageless Mask – The all-natural scent of this product reminds me of a pumpkin spice latte and gets me very excited for fall! I can’t wait for cold weeknights by the fire with a luscious Stemology mask smothered on my face. Perhaps it’s the Pumpkin, Carrot seed, Sugar Maple and Argan oils that give off this luxurious and homely scent. My favorite part about this product is that you can lather it on your face, neck and chest. I took some silly photos of me wearing my mask at the bottom of this post. I wanted to showcase how the mask looks and settles on the face. When I washed the mask off my skin felt and looked more youthful. I have already incorporated this mask into my skin routine and I use it 1 to 2 times a week as directed. Cell Revive Eye Serum Complete – With ingredients such as beets, fennel, pea, sweet almond and rye, this firming serum will have your eyes feeling ageless and hydrated. I think we can all agree that we love a good eye serum to help our skin stay rejuvenated, along with decreasing dark circles and wrinkles. 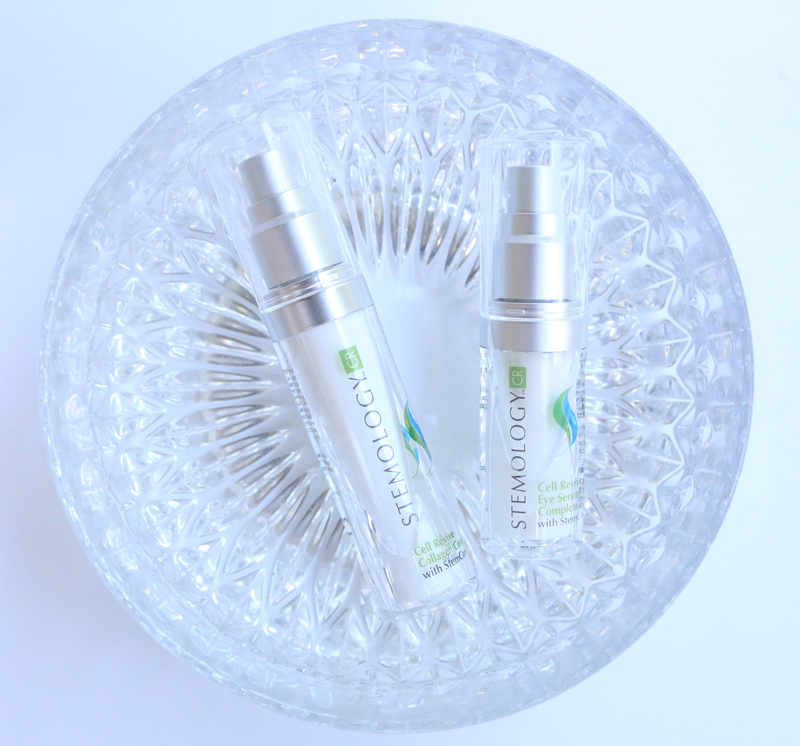 Stemology’s eye serum, complete with StemCore-3 aids in the reduction of expression wrinkles and fine lines. It’s sleek packaging and pump-action releases a dark, rich and natural pastel yellow serum. Shop these products by scrolling to the bottom of this post. Thank you Stemology Skincare for sponsoring this post! I love the packaging and the products sound amazing! Who knew that they had stem cell face products?! You should do a follow up in a couple weeks to let us know how its been going! I thought the same thing when the brand reached out to me! I loved researching the science for myself and I find it to be really interesting. I can’t wait to see results and I can already feel them working on my skin. The products are the same type of quality skincare products you’d get at Bergdorf Goodman – I swear by it! These products sound so awesome. Anything moisturizing, I’m all for! Love how natural and Good these products sound. All the ingredients are from plants, oils, seeds, etc. It’s incredible! LOVE LOVE LOVE This review!! I had NO IDEA about stem cell products!!! Science has come SO FAR!!! I would love to hear how this works over time ! Isn’t science amazing!? Such a cool brand to read and learn about, isn’t it? Wow! What an interesting product! I love your descriptions and full review. The packaging looks so cool, I would definitely want to try this! I can’t wait to share the follow up results! My face already feels so fresh! Thanks for your sweet comment Courtney! The serum is AWESOME! You will totally fall in love! I know you would love it Ms. Beauty Queen Toby! What a great review! I’m going to have to check them out because my skin has been freaking out!! Looks and sounds like an amazing line of products!! Love all of your pictures. I will need to check it out!! very interesting review, I’ve never heard of them but made me want to look into it. especially love the packaging! I love breaking down the stories behind brands and this one was especially fun to share! Thanks Donna! Isn’t the bottle so cool?! Thanks for such a great review, Taylor! I am really intrigued by the technology behind this brand. Stemology sounds like something skincare brands will rely on in the future:) I would love to try that overnight moisturizer; I think it would be perfect for my skin in colder season and it’s hard to resist that pump, lol. Have a great weekend, beautiful! Yulia! Thank you so much for stopping by! It is such an innovative brand I keep telling all of my friends and coworkers about it, I even got my fiancé to use it a few nights a week 😛 We both love the products! Have a wonderful weekend love. My first thought when I read your post title was this is going to be good! I keep reading about all the amazing medical research going on with stem cell therapy, especially for treating MS. For some reason MS is really prevalent where I live. Anyhow, I can only imagine how great it would be for your skin. I really enjoyed your review. The whole line sounds great especially the Cell Reboot Ageless Mask???????? Thanks for sharing with us. Have a great weekend! 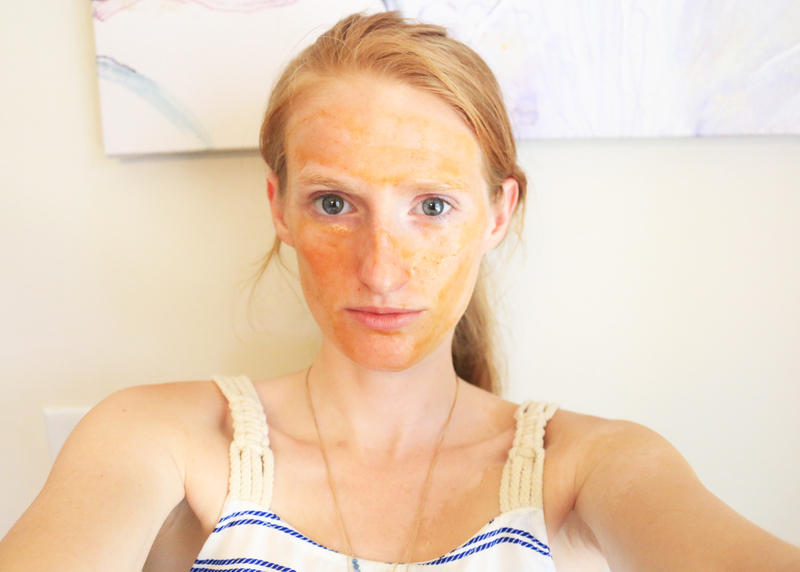 The Cell Reboot Ageless Mask is my absolute favorite! Thank you so much for your sweet comment 🙂 I an guarantee you would LOVE these products! I have been using them for about 2 weeks now and I can already tell how happy my skin is and feels! Thank you! Stemology is the best! What a fantastic article! I can tell you really did your research here. Thanks for sharing.